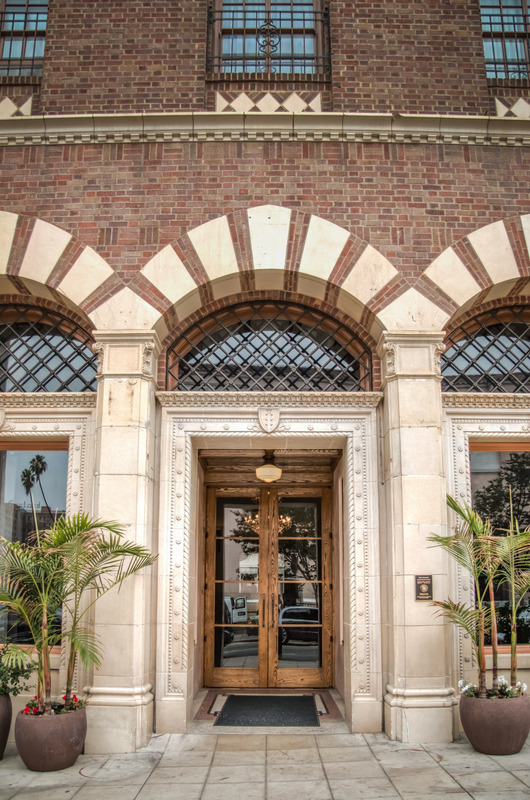 Overview: The Hotel Normandie opened in 1926 as a residence hotel for single men. It was apparently quite the social scene back then, if not exactly high glamor. But a lot changed in this neighborhood, now better known as Koreatown. The hotel stopped being a real hotel long ago. It even became, temporarily, a “hotel” for medical marijuana patients. 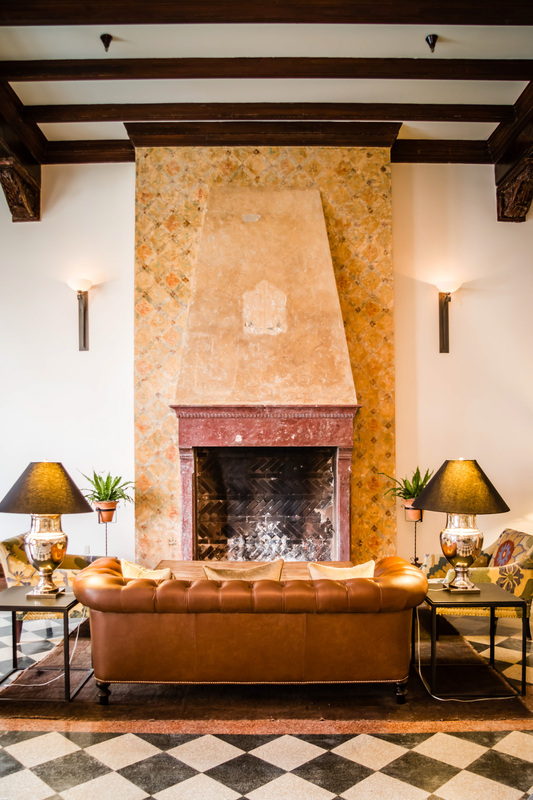 But it reopened as a normal hotel again in February, with 91 rooms, following a complete gutting and makeover. 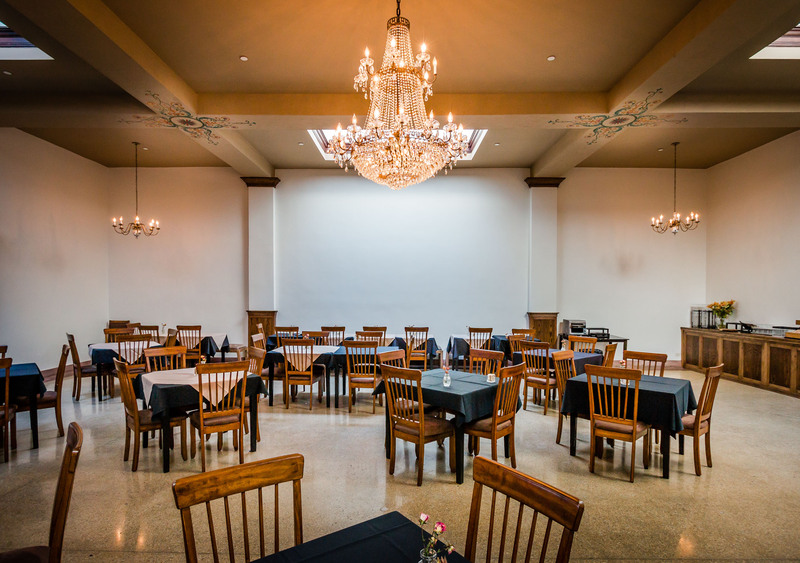 The building’s original blend of Renaissance Revival architecture and Spanish Revival decor has been honored throughout, with a modern twist. 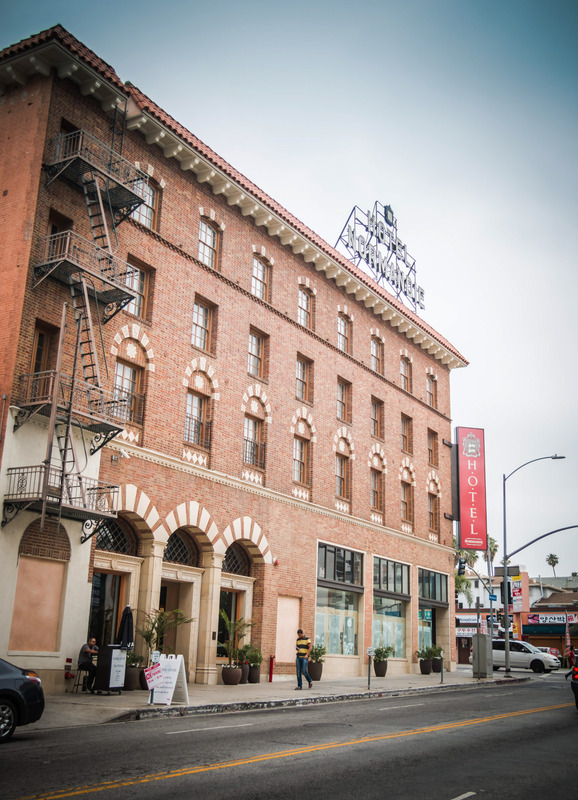 The Location: The corner of Sixth Street and Normandie Avenue in the heart of Koreatown. Rooms: The rooms are rather sparse but comfortable. The original hardwood floors have been restored and topped with a simple area rugs. Side tables appear to be antiques, perhaps even original to the Normandie. The mattresses are wonderful but it’s covered with cheap linens and lumpy – shockingly lumpy – pillows. 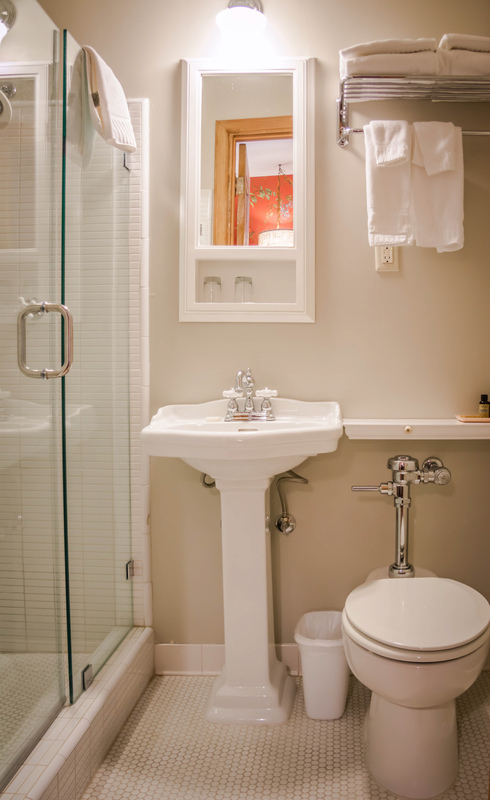 The bathrooms are tiny – large enough for only one person at a time – but everything looks brand new, even the vintage toilet with original plumbing. Complimentary bottled water is replenished daily. Electrical outlets are limited, and the room does not have a safe. 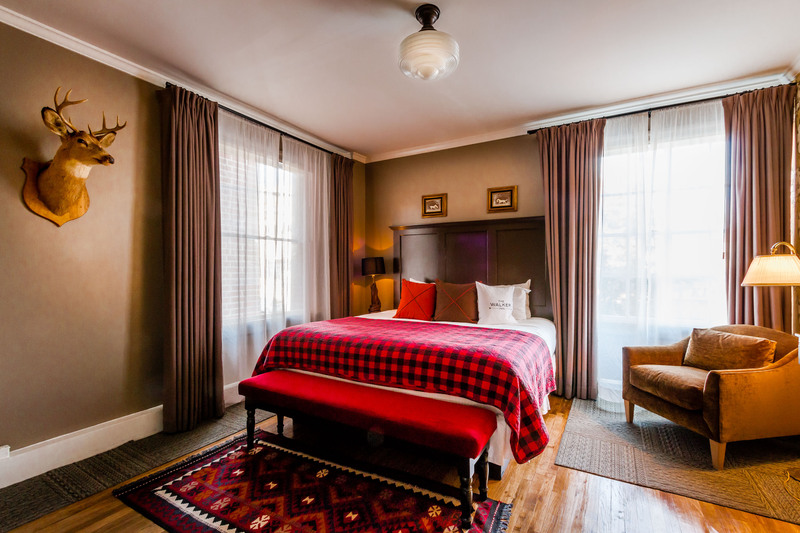 A wing of Walker Inn rooms are situated directly above the hotel’s bar, The Walker Inn. 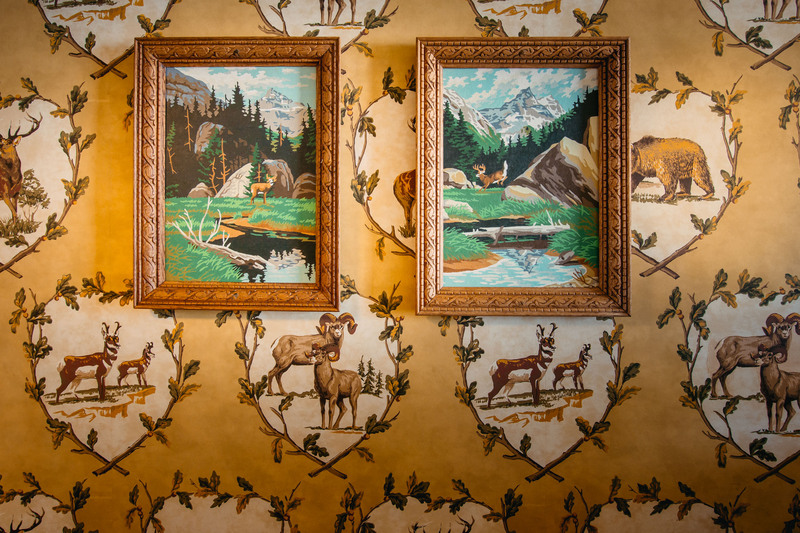 These rooms are decorated with taxidermy and plaid, with reputable wet bars. 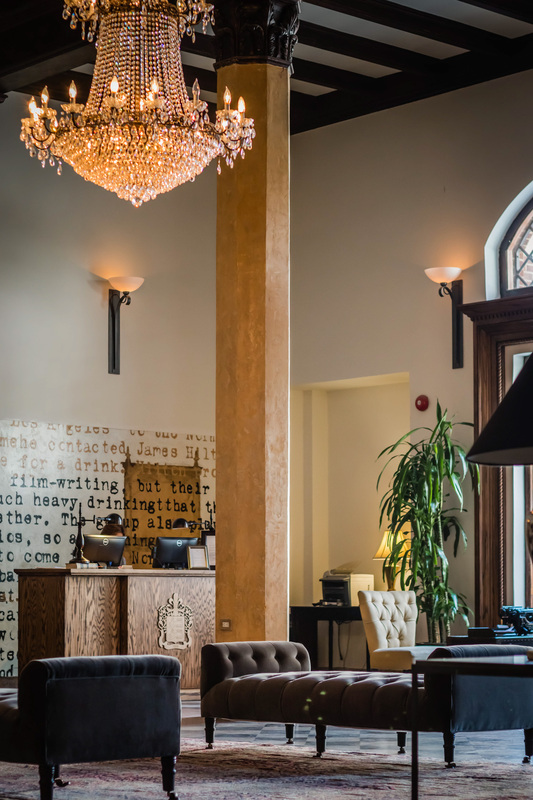 Food/drink: Although the hotel opened in February, its restaurants and bars aren’t expected to debut until August at the earliest. 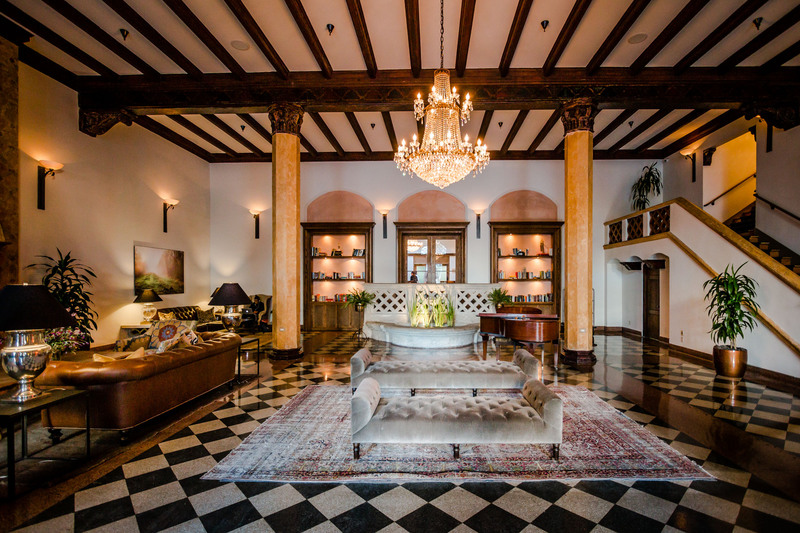 The new venues will include a reborn Cassell’s Hamburgers, which will serve as the hotel’s all-day diner, plus Le Comptoir, an intimate 16-seat vegan restaurant from chef Gary Menes (formerly of Palihouse and Marche). Nightlife impresario Cedd Moses is rumored to be opening a gastropub on the premises as well, on the opposite side of the block. Meanwhile, popular Koreatown restaurants Ahgassi Gopchang and The Prince are just two blocks away in either direction. 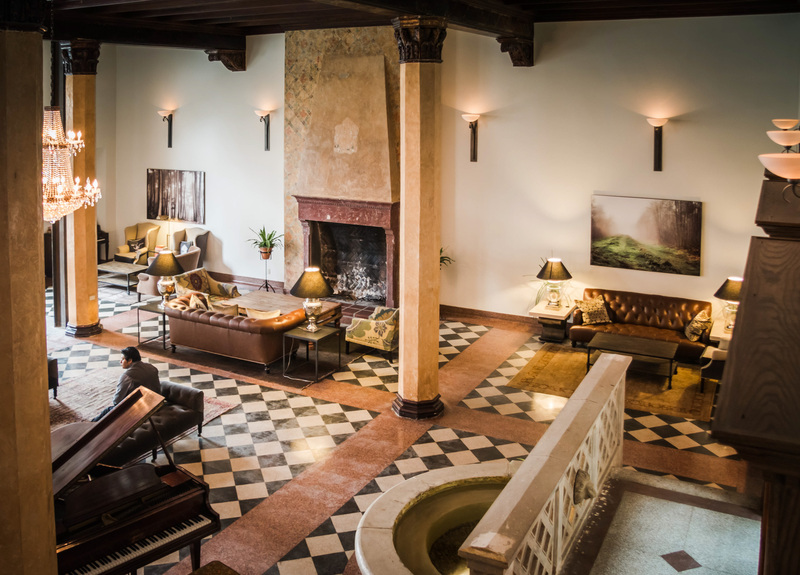 Public spaces: The lobby is grand and beautiful, with original tiles and water fountain providing an authentic urban atmosphere and sense of history. It would be a great gathering place, if only they served drinks here. A collection of stunning architectural photographs of vintage Los Angeles enliven the hallways and guest rooms. And there’s a communal antique typewriter near the front desk where guests can type 140-character comments on paper for other guests to read, like a guest book. Service: Scant but friendly. And the little details, like making the bed properly, aren’t of much concern to housekeeping. Cost: $233, plus taxes and fees. Valet parking, $29. 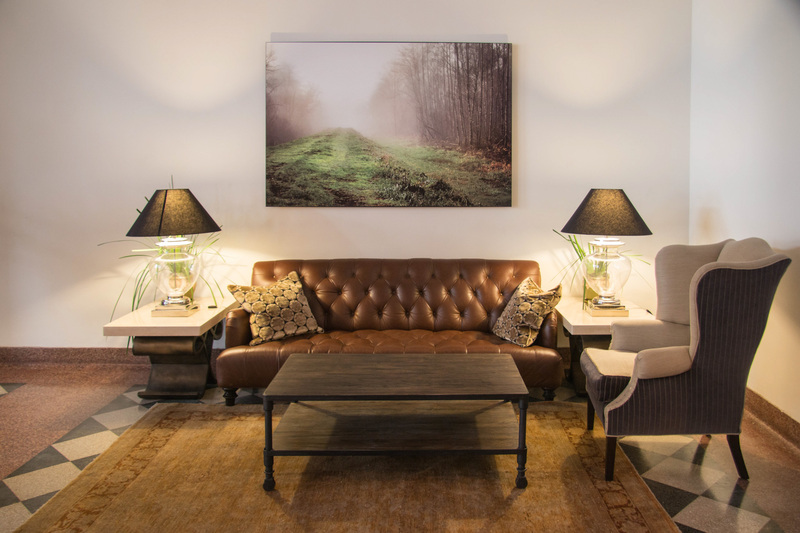 Bottom line: It’s a cute boutique hotel with lots of potential in a neighborhood that grows more relevant by the day. But value for money is out of balance. The service and product that they currently deliver do not justify the price.